I have more horse properties in this area for sale. Charming ranch style home with stunning open beamed great room and island kitchen, 18" ceramic Satillo flooring, oak cabinets, stainless appliances, French doors, pool & 30x80 ft covered patio, lush lawns irrigated with working well on over 2 level acres. Walking distance to VC high school with views to Palomar Mtn. Leased solar system and well water provides lower utility obligation (info upon request). 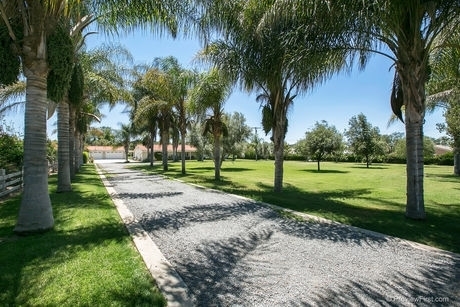 Zoned for horses, easy access, fully fenced, privately gated. Drastic price reduction! !